It’s not quite spring yet, but being a hardy Northerner I never let a bit of cold weather get between me and my garden visits, so this weekend I headed off to the RHS garden at Wisley which is just half an hour’s drive from Petersfield. Wisley is somewhere I’ve visited on a regular basis ever since I started studying garden design 13 years ago. 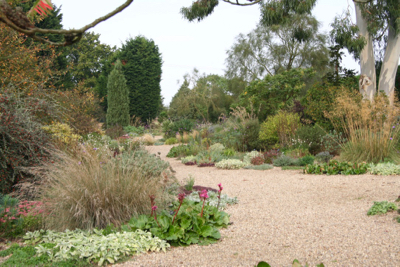 There is such a wide variety of plants there, and most of them are labelled so it’s a great resource for discovering new plants and to see what works in different parts of the garden. 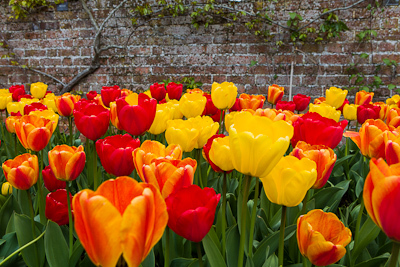 You may think that late winter has little to offer in the way of garden interest, but there’s still plenty of planting to enjoy and to use as inspiration for your own garden. Even lichen on a tree trunk provides colour and interest on a gloomy day. Here’s just a small selection of other plants which caught my eye. 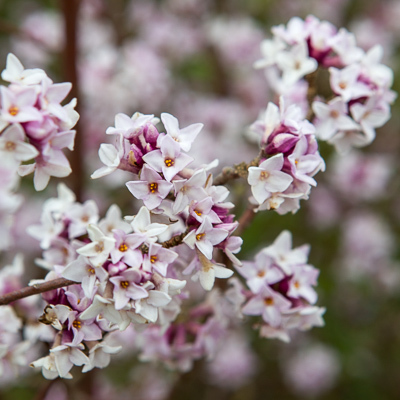 Daphnes are a real star plant in March, and Daphne bholua ‘Jacqueline Postill’ is renowned to be one of the best for scent. 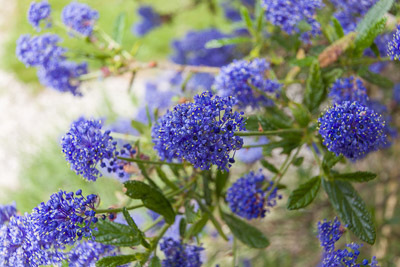 It has such a powerful perfume, and is a lovely shrub to go near a pathway, as it’s upright and won’t sprawl. 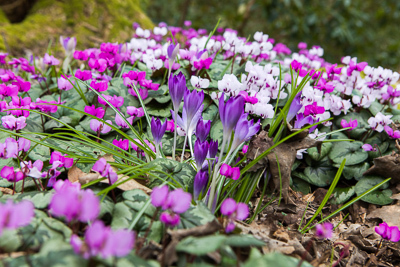 In the woodland area of the garden we came across carpets of Cyclamen hederifolium often growing with Crocus amongst them, providing a welcome splash of colour in the gloom. Some early Camellias were flowering too and one which I hadn’t come across before is this elegant white flowered Camellia x vernalis which is (as I’ve just found out!) a naturally occurring hybrid of Camellia sansanqua (winter flowering Camellias) and the more commonly grown Camellia japonica which are just starting to flower. Hellebores are also flowering their socks off now with flowers ranging in colour from white, pale yellows and pinks to deep purples. This dusky pink Hellebore was growing on a raised bank just by the entrance to the gardens, and for obvious reasons was attracting a lot of attention. I also really like Helleborus argutifolius (the Holly leaved Hellebore) with its creamy green flowers and spiky architectural leaves. 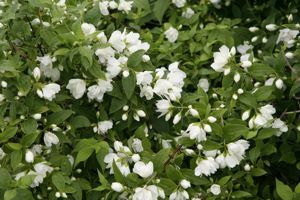 It’s an evergreen perennial and makes a valuable small structural plant for winter gardens, and is particularly useful in shady borders. I was also taken with a seasonal bedding display with a difference – a seriously colourful mix of pansies growing vertically in panels along a fence. ‘Green walls’ or ‘vertical planting’ is very much in vogue these days, and it was nice to see something as simple as a tray of pansies given a vertical makeover. Something for us all to try at home! 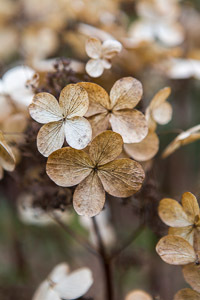 Ironically one of the loveliest sights for me was the faded flowerheads of groups of Hydrangeas on the woodland edge. They had a really ethereal quality and illustrate so well how attractive some plants are even when they are technically past their best. 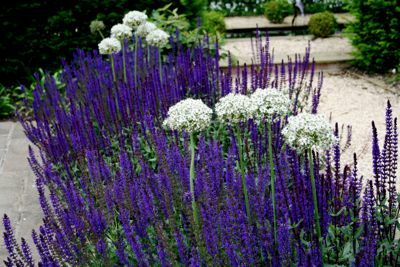 It’s definitely worth going out to look at plants at all times of year because you get to see that many of them have a lot more to offer than just their flowers or foliage. 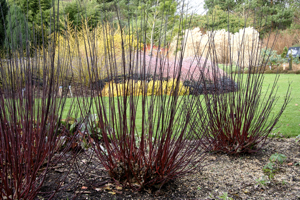 The shape and structure of many plants in winter, when all the leaves are long gone and the flowers have faded can still offer a lot to enjoy. That said, it’s lovely to see signs of life with new shoots and buds appearing all over the place. Not long now till spring! If your garden is lacking in interest at the moment and you’d like some help to remedy that, get in touch by calling 01730 261712. We’d love to help.